Everyone has to wear clothing, but how do you pick the right wearables that cause the least amount of disruption to the environment? 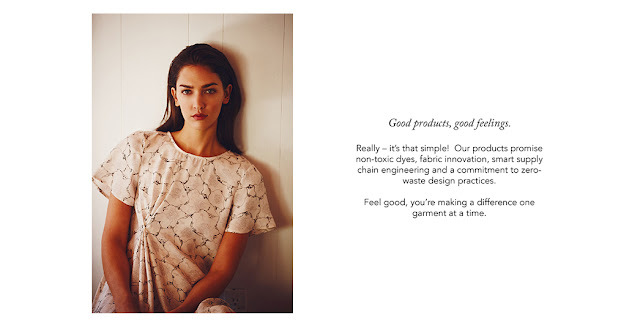 Amour Vert has the answer: American manufacturing, non-toxic dyes, sustainable (and comfy!) fibers, innovative fabrics, and a zero waste design philosophy. Amour Vert, or "Green Love" in French, encourages "with every stitch a purpose," meaning that one can combine a greener future with smart fashion. For example, did you know that trucks drive almost daily from Los Angeles to Napa Valley after unloading their wine -- wasting empty space and gas? Now, Amour Vert hires these wine trucks to deliver their product from LA to San Francisco on the return trip in order to maximize efficiency. With the purchase of every Amour Vert t-shirt, a tree is planted in North America. Not only does the brand use sustainable materials and practices, but their idea to plant trees will ensure a brighter and cleaner future. With the help of American Forests, the oldest national nonprofit conservation organization in the country, Amour Vert is able to advocate for the protection and expansion of America's forests. 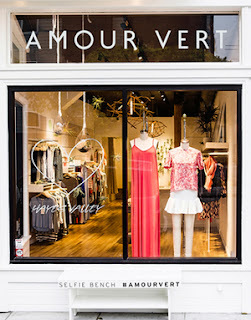 Amour Vert is sold at many big stores, as well as a retail location in San Francisco and a pop-up shop in Palo Alto. As shown below, the SF store features a popular Selfie Bench if you want to document your eco-fashion journey. 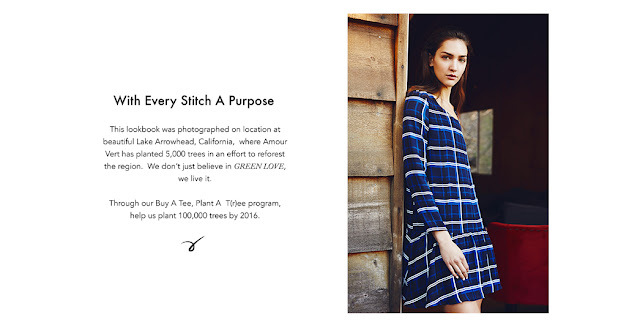 In addition, be sure to read the March 2015 Glamour magazine article about Amour Vert's new Director of Brand Strategy Lily Kwong - Why Going Green Is Chicer Than Ever - for more information on the fashionable and eco-friendly brand.